There are numerous ways in which one can define fur trapping, but the simplest definition would be to say that it is the practice of trapping animals for the sake of harvesting their fur for various purposes. This is something that, unfortunately, occurs in almost every country in the world and Canada is no exception. Trapping in Canada is primarily also done for the cultivation of animal pelts, even though some may do so for sourcing food. 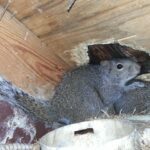 Among the numerous species of animals that are most trapped for this reason are beavers, raccoons, and other wildlife. If you do spot a raccoon on your property, it is highly recommended to avoid trapping it and contact a raccoon removal or animal control specialist instead. Being as cruel as it is unnecessary, trapping animals in order to obtain their fur is a very violent practice. All of the snare and body-gripping traps used for fur trapping are specifically designed to either temporarily hold or instantly kill a wild animal who is unlucky enough to get caught. As a result of such a design, the great majority of animals who do get caught in traps tend to die while trying to free themselves, or from hypothermia, blood loss, and dehydration. In fact, many of the captured animals become increasingly desperate after being caught that they attempt to wring or chew off their own limbs out of the desire to free themselves. Sometimes, in the process, their even end up breaking their bones and teeth. We use cages only when removing an animal. Period. Using live traps is inhumane and ineffective. Traps in Canada are often left unchecked for days on end. Depending on whether the traps are designed to kill or restrain an animal, regulated timeframes for checking traps will vary. Although in some provinces trappers are required to check restraining traps once every 24 hours, many other jurisdictions have absolutely no legal requirements to check restraining traps with regularity. As a result, wild animals caught in traps can sometimes suffer indefinitely and even die from predation, exposure, hunger or thirst. At the same time, animals caught in so-called killing traps may not immediately pass away and are often left to suffer in torment for days at a time before the traps get checked. Killing traps, unlike restraining traps, often times will have no regulated time frames in which they are required to be inspected. Furthermore, the existing trap-checking regulations are extremely difficult to enforce as a result of the wild and remote conditions under which snaring and trapping occur, as well as due to a lack of personnel who would enforce them. Legislation works in favour of fur trapping in Canada, as well: if 80 percent of animals are killed within a species-specific time-frame, ranging from 45 seconds to five minutes, kill traps are legally approved for use in Canada. This translates into the fact that, instead of dying instantly, at least one in every five animals that get trapped ends up needlessly suffering a drawn-out and long death from painful injuries. Despite being considered extremely inhumane by animal advocates and veterinarians, snares are still used in Canada to this day. Essentially metal nooses, snares are designed to tighten around an animal’s body or leg for restraint, and even end up killing the animal by strangulation. The snare tightens as the animal struggles to get free. A reported 730,915 animals were trapped for their fur in 2009, and that does not even include the countless domestic dogs and cats, as well as endangered species, that are maimed, caught and killed by these snares and traps every year. Skedaddle Humane Wildlife Control is a company that has pioneered a number of humane removal and exclusion techniques and methods and is an organization that advocates and is committed to the humane treatment of animals. If you’re suffering from a wildlife invasion problem, it is best to be humane and practical and reach out to Skedaddle to make sure the invaders are removed and relocated safely and with minimal harm and stress. 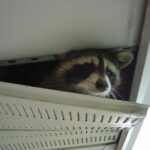 Be it raccoons, squirrels, birds, bats, mice or rodents, Skedaddle is your number one choice for raccoon removal and animal control services, so reach out to them today and ensure you do your part in the preservation and humane treatment of wildlife.